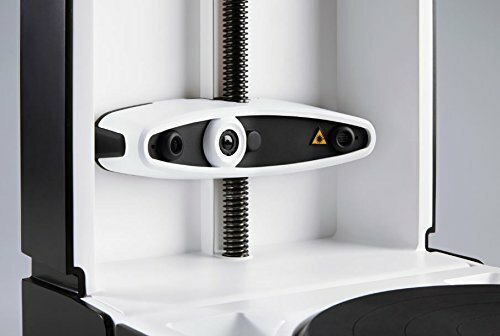 The world's first truly affordable 3D scanner can now be yours. Make your ideas a reality and fast track the design process. A moving HD camera head with dual lasers and a rotating platform makes scanning three-dimensional objects easy, fast and accurate. After a one-time set up, simply place an object on the scanner, click a button to scan and watch it go. Designed to slide smoothly into your workspace. Keep your scanner and workspace neat and clean with an integrated case that protects both the turntable and the camera. Simply fold up the base when not in use. No other protective or storage case needed. Create watertight 3D models within 0.25mm of the size and detail of the original object. Scan items up to 190mm in size while capturing approximately 2000 points a second. Our software saves files as .STL, .OBJ and point cloud .PLY files for maximum compatibility.